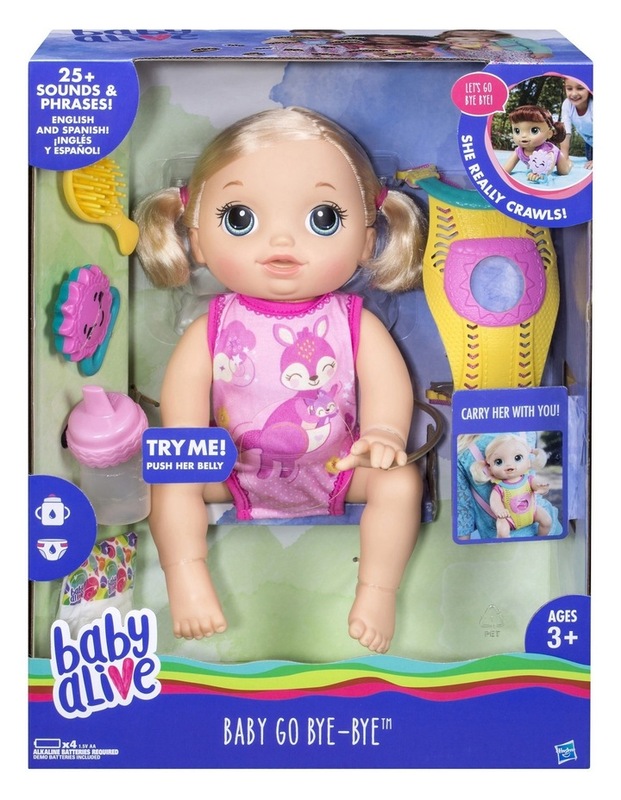 There's many ways to play with the Baby Go Bye Bye doll! Better keep an eye on herbecause she crawls and talks -- wow, watch her go! Mommies or daddies can tickle her tummy and she crawls over. Shake her adorable rattle and she crawls when she hears it. Kids can take her along in the included carrier for on-the-go adventures. Also, feed her by filling her bottle with tap waterand, uh-oh! Change her diaper after she wets! Talk to her and she'll babble back.